The debate over encryption has reached new heights in a legal battle between Apple and the FBI. In response to a federal magistrate’s order requiring Apple to assist the agency in accessing data from a phone belonging to one of the San Bernardino shooters, the company is pushing back, pledging to challenge the request in the name of its customers’ privacy. CEO Tim Cook published a public response early Wednesday morning, just hours after a Riverside, Calif., judge signed an order asking the company to break into the encrypted iPhone of Syed Rizwan Farook, who, with his wife, shot and killed 14 people at a holiday party in December. The 3-page court order requires Apple’s engineers to create a new iPhone operating system designed to bypass the company’s security features and install it on the iPhone 5C that belonged to Farook’s employer, the San Bernadino Department of Public Health. Prosecutors hope to access “critical data” about the shooters, who had pledged allegiance to the Islamic State terrorist group, including people they were in contact with and where they traveled before the shooting. They cite the health department’s ownership of the device as further reason Apple should help unlock it. The court order asks Apple to provide “reasonable technical assistance” in creating a new mobile operating system. This iOS would disable a feature in the iPhone that automatically erases its data after too many failed attempts for access. This way the FBI can attempt to unlock the phone by submitting an endless series of passcodes via something known as a brute-force attack. 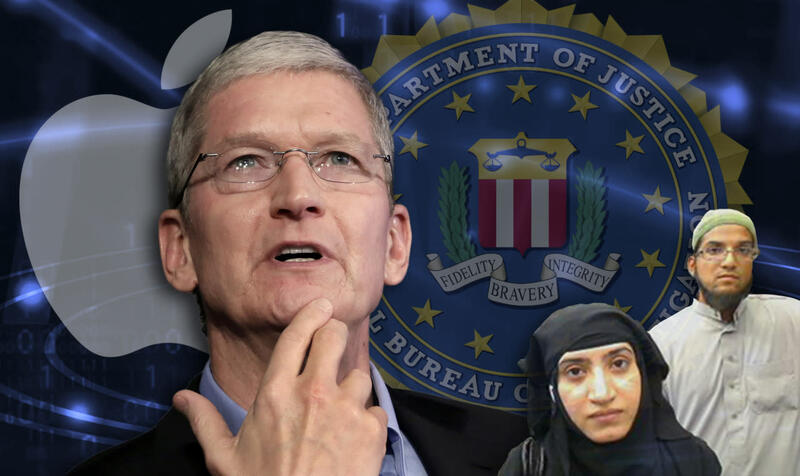 While the order applies only to Farook’s device, Cook argued that creating this new software would ultimately compromise the privacy of the “tens of millions of American citizens” who use Apple devices. Investigators already have “metadata” from the phone’s account—information about what other phones it communicated with, but not the content of any messages. No “direct overseas connections” were uncovered, National Security Agency head Michael Rogers told Yahoo News. Apple is likely to argue that the court’s order places an undue burden on the company by requiring enormous time and energy, and compromising the public’s trust in its products, according to Nate Cardozo, a staff attorney at the Electronic Frontier Foundation. The public legal battle could be the beginning of a long-term FBI strategy to earn new backdoor powers. Cook’s letter echoes a statement that Apple sent to the British Parliament in December, asking legislators to reconsider new surveillance proposals that would ask the company to bypass encryption at the request of the government. In an interview with Charlie Rose that month, Cook emphasized the importance of protecting encryption, even in the face of terrorist threats.